A leading Vermont destination community, Quechee Lakes is famed for its award-winning, four-season Quechee Club along with luxury townhomes and distinctive single-family homes built on 5,200 acres in picturesque hills above the Ottauquechee River Valley. At the heart of Quechee Lakes is the The Quechee Club, which recently underwent a major $7 million expansion and renovation, including fitness facility upgrades and the enclosure of part of the outdoor deck for year-round use. For the Quechee Club membership—which includes all Quechee Lakes property owners—there is a stimulating roster of amenities. 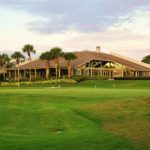 The list is topped by two championship golf courses, plus a wide variety of winter sports, outdoor tennis and indoor squash courts and abundant outdoor recreational activities for adults and children. 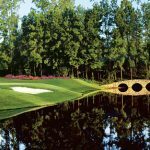 Designed by Geoffrey Cornish, the two golf courses ramble through splendid terrain, accentuated by dramatic finishing holes that have earned accolades from Golf Digest, Golfweek and Vermont Golf magazines. The Highland Course plays 6,765 yards from the back tees with a combination of gently rolling and elevated, tree-lined fairways along with rock walls and bunkers. The Lakeland Course measures approximately 6,570 yards from the back set of tees and presents a links-style design that incorporates trees, bunkers and water features. A long stretch of the Ottauquechee River runs through the course. It doesn’t get any better than Quechee Lakes for winter sports, beginning with downhill skiing at nearby resorts like Killington, Okemo and Ascutney. There are a miles of trails for cross-country skiing and snowshoeing, as well, and snowboard runs to suit everyone from first-timers to experts. Once you’re off the slopes and trails, Quechee Club facilities include an indoor pool and squash court. Or take an afternoon for backcountry snowmobiling or snow tubing or the ever-popular horse-drawn sleigh rides—a bit of romance amid winter’s chill. Quechee and its immediate area are home to galleries, shops, museums, restaurants and performing arts centers. Quechee Lakes is a 15-minute drive from the historic villages of Woodstock, Vermont and Hanover, New Hampshire. 35 miles of trails for cross-country skiing, biking, hiking and snowshoeing. Quechee is home to the Quechee Gorge, the “Grand Canyon” of Vermont; and Simon Pearce, a five-star restaurant and one of Vermont’s most renowned glass blowing and pottery facilities. It’s also close to some of Vermont’s best shopping, antiquing, arts and crafts, dining and more. Up the road is Woodstock, often described as one of the prettiest small towns in America where Vermont’s storied past meets the present. Woodstock is the quintessential Vermont village filled with unique shops and galleries, artisan studios, country stores and restaurants. Just across the Connecticut River is the town of Hanover, New Hampshire. Hanover is the home of Dartmouth College, which probably provides the greatest single stimulus to the economic and cultural development of the Upper Valley Region. The Dartmouth-Hitchcock Medical Center — including the Hitchcock Clinic, Dartmouth Medical School, and the Mary Hitchcock Memorial Hospital — is one of New England’s premier health-care institutions and one of the few academic medical centers located in a rural setting. The Institute for Lifelong Living at Dartmouth offers a wide range of study groups, lectures, planned social activities, trips and other events to stimulate learning. Dartmouth’s Hopkins Center for the Performing Arts and the Hood Art Museum provide a robust assortment of cultural programs and entertainment.